Own a little piece of Cleveland! 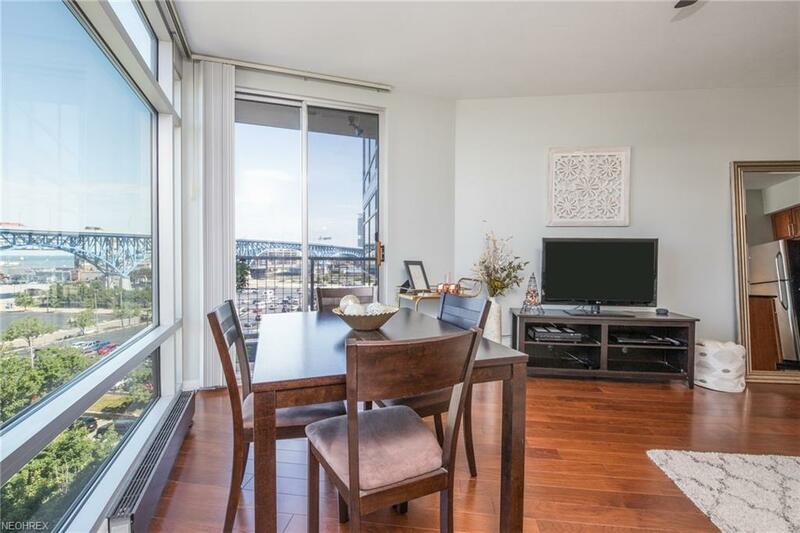 This one bedroom condo in the spectacular Stonebridge Plaza is a complete delight. 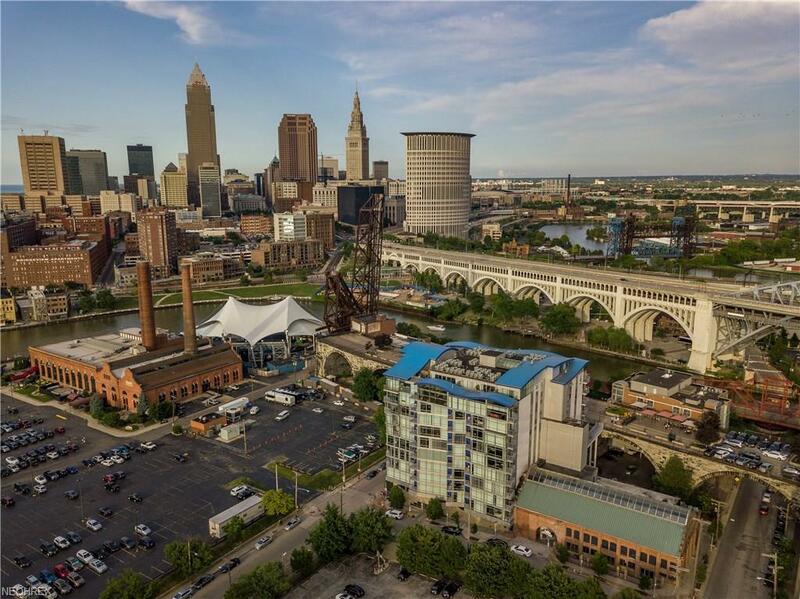 Situated on the west bank of the flats, residents here are able to walk to downtown Cleveland as well as Ohio City bars and restaurants or simply stay home and enjoy the views of the Cuyahoga River, Lake Erie and bustling east bank of the flats. 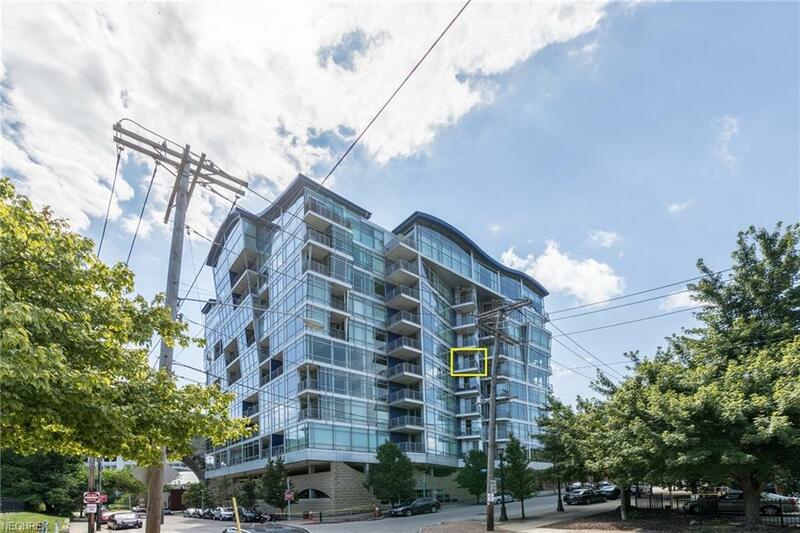 Within this fabulous condo, find a chic open concept layout with floor to ceiling windows and private balcony with sought after north facing view! Stunner kitchen with granite counters and full package of stainless steel appliances. Updated full bathroom, spacious walk in closet and in suite washer dryer included! Enjoy the amenities of a 24/7 private fitness center as well as a day time concierge and night time security officer. 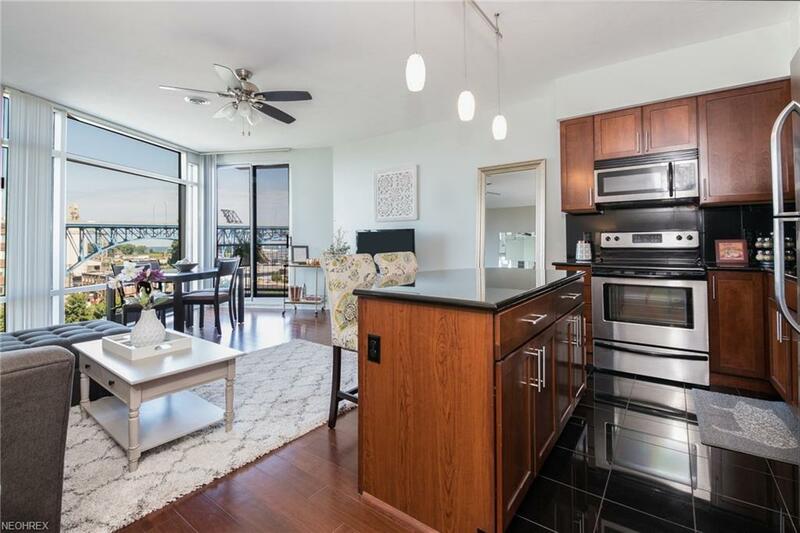 Relax on the viaduct with direct access from the same floor as this condo and listen to the summer concerts of the Nautica Pavilion free of charge. The direct neighborhood continues to develop with the recent addition of Tenk West Bank, Six Shooters Coffee and exciting upcoming opening of various shops and dining spaces at Detroit and W 25th. Tax abated until 2021!